I was lucky enough to participate in one of Sara Wachter-Bottcher’s amazing content strategy workshops and found new inspiration. 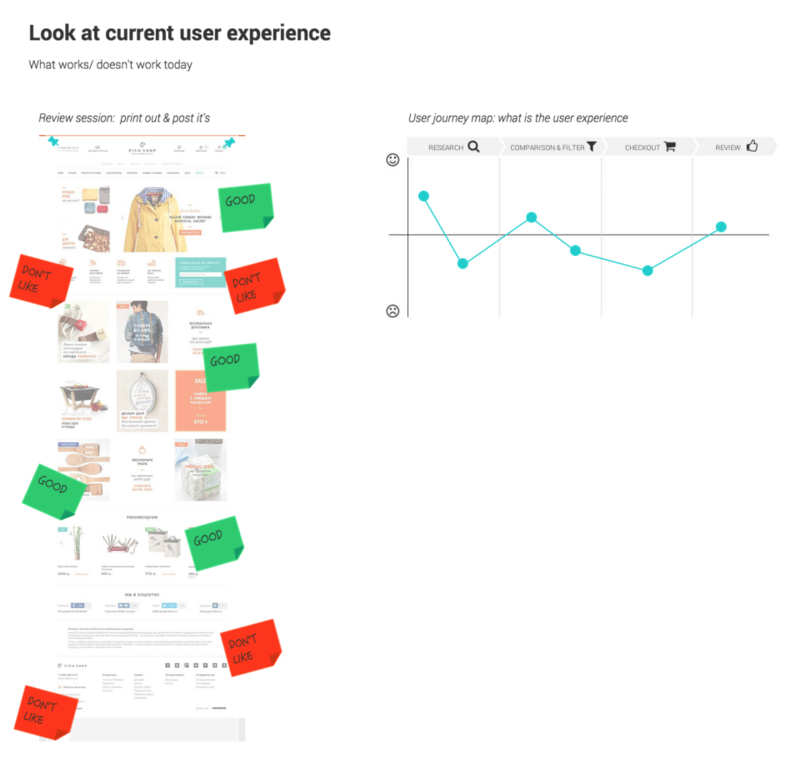 It got me particularly thinking about my current usage of user journey maps and the problems I encounter with them. 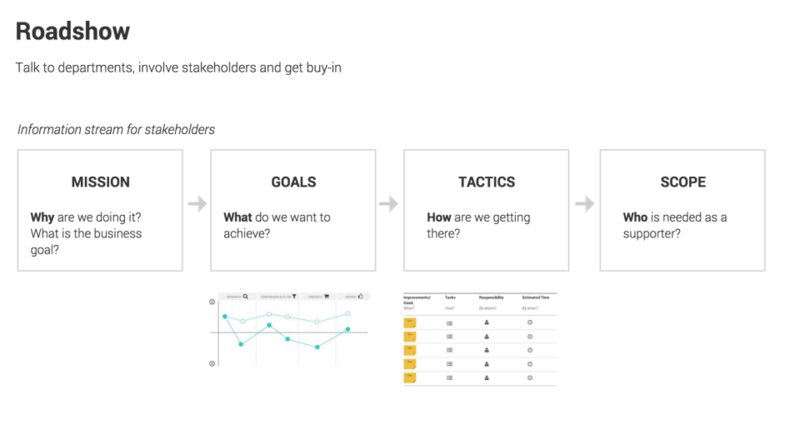 Journey maps are a great tool to think about the big picture (what is the main user goal, where are people coming from, what are they looking for) and to identify the pain points. Getting an understanding about user needs and current frustrations will also help to visualize an “ideal path” that defines the optimal outcome for a project. 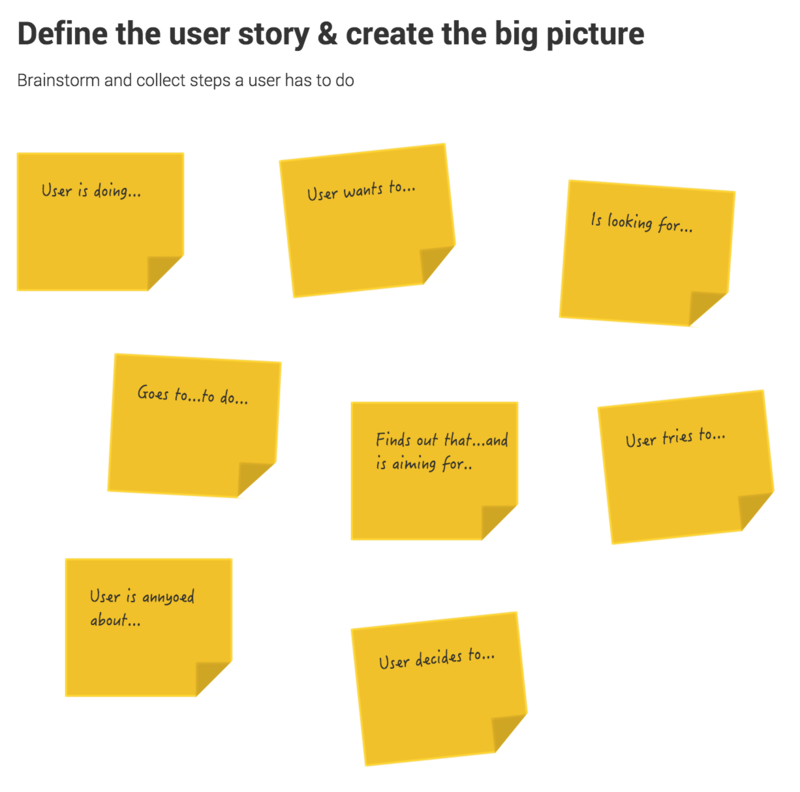 A user journey map is therefore a powerful tool to use at the beginning of a project. Because this tools helps to see the bigger picture it often uncovers new areas of impact. I often find myself in the following scenario: we create a journey map at the beginning of a project with the core team. While discussing the user needs and frustrations we often discover topics and problems that are related to different departments where stakeholders haven’t been involved yet. This can lead to confusion and ambiguity about the actions that need to be taken to improve the user experience, especially if the timeline is tight. The solution to this problem: involve stakeholders and share the user journey map. Do a roadshow to get buy-ins. 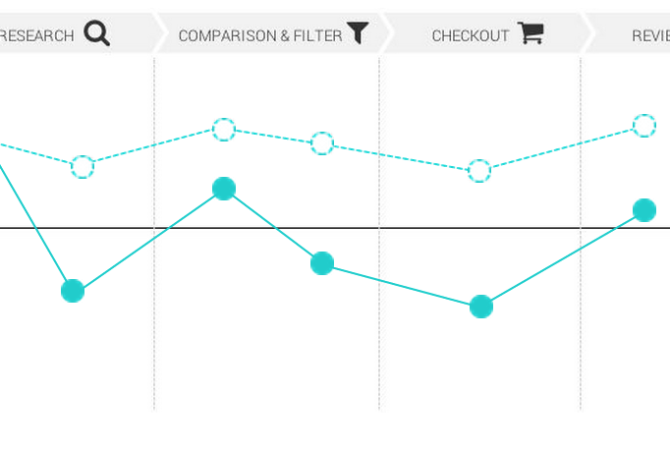 Create a bigger picture – not just for the user experience but also for your organization! Get a better understanding of the organizational structure, the existing departments, their responsibilities – and invite everyone to become part of the project vision. Start with a brainstorming session with the core team: list every step and action that a user needs to do to achieve a specific outcome. 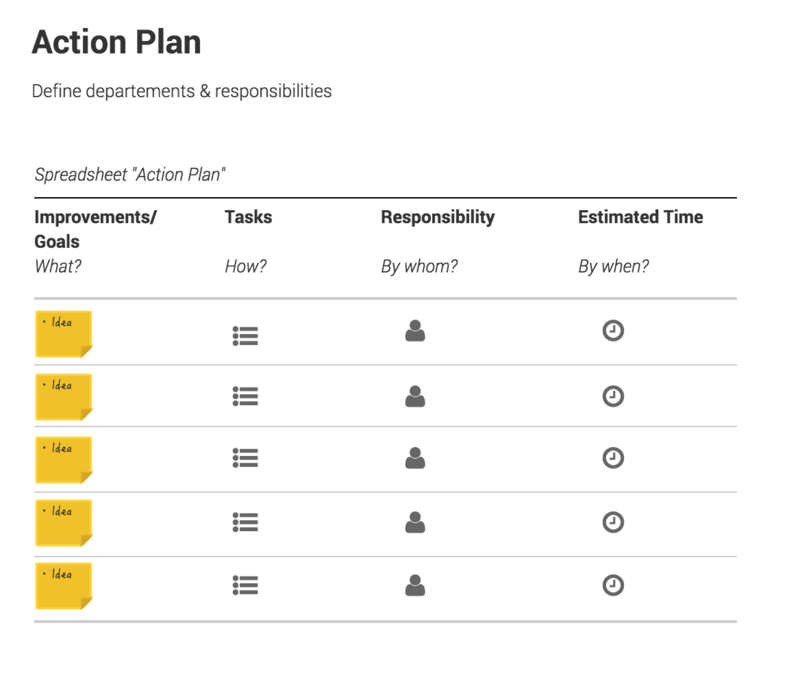 Position the steps and actions on a timeline and define the main sections. Go through each step and think about how the user would feel. A helpful source of information can be an expert review of the existing product: hang print outs with screenshots on the wall and add post it notes. Use 2 different colors for things that are working very good and things that create frustration. 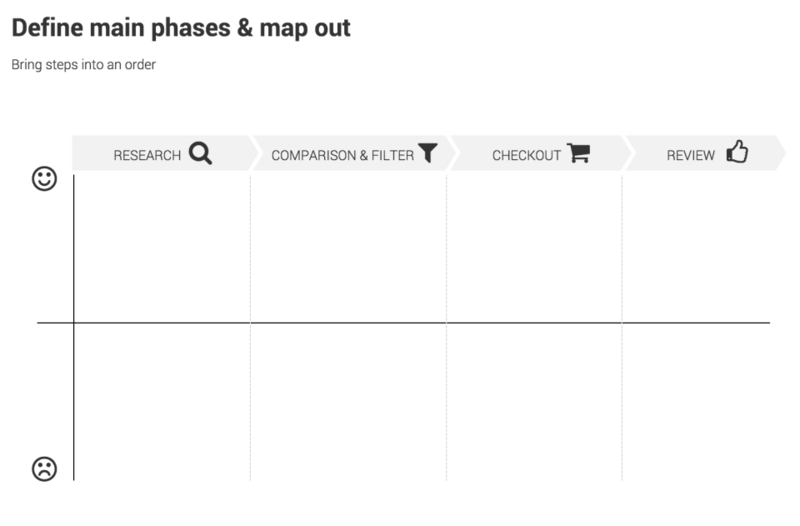 Look at the user journey map and the current path: where are the pain points? Have a discussion about the ideal path: how do we want the user to feel? 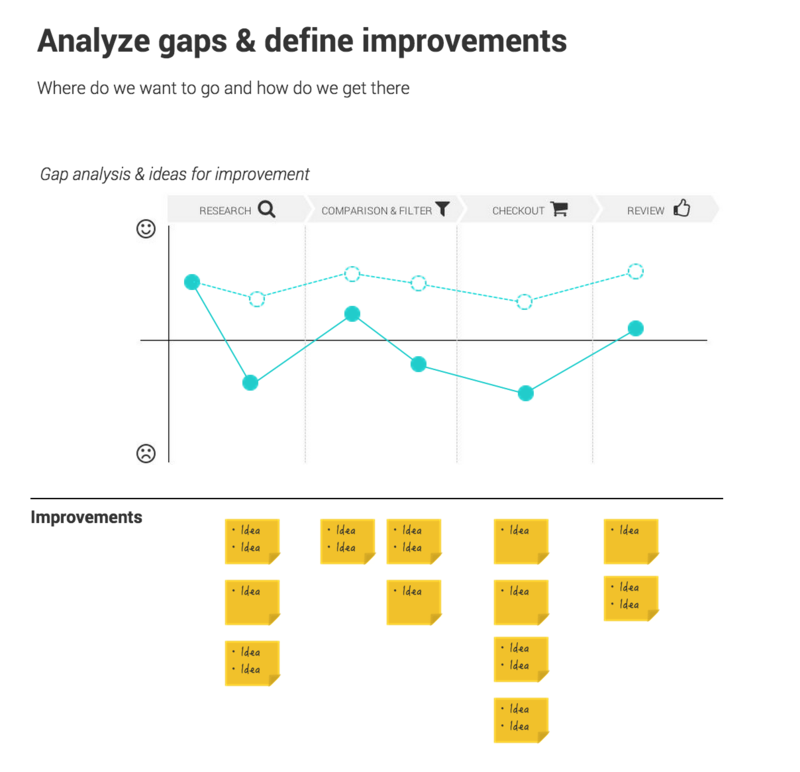 Look then at the gaps and do another brainstorming session to come up with ideas for improvements. Go through the ideas for improvements and turn them into actions: What do we want to achieve, how are we doing it, who is responsible and by when do we want to get it done? With a good understanding of the current situation, user’s pain points, the ideal journey and the tasks that can be done for improvement go to the different departments and invite them to a discussion. Get their buy-in, ask for their support and listen to their input.